You can find podcasts that cover any topic. You download the ones that match your interests and listen to them as you please, essentially creating a customized radio station for yourself. You can swap programs in and out as you wish. Listen to them anywhere you can turn audio on from – desktop/laptop computer, smartphone on-the- go and in the car (just plug in your phone to the car’s AUX speaker). Since 2016, new cars have podcast players installed in them. If you’ve ever listened to music on Pandora or Spotify you understand how this works. In fact, Google Play and Spotify are getting in on the podcast distribution act. Get in on the Podcast trend! As podcasting continues to go mainstream, more listeners overall means more possibilities for your business to reach new clients and customers. You’re a subject matter expert so talk about your field of expertise, your passion, tell your story, fans will spread the word. Podcast are popular in the 18 – 44 age group. Both men and women listen to them equally. According to Edison Research podcast listeners are affluent with a household income of $75,000+, and they are highly educated. You can create one with an iPhone and a few hundred dollars. Equipment is going to cost you between $0 and $500. Spend around $100 on a good USB microphone and around the same amount or a little bit more on a good set of headphones. Read this great article How Much Does It Cost To Start a Podcast?. Download Kerwin Rae’s Starter Kit Podcast Ebook for equipment tips and more. Follow Kerwin’s Unstoppable podcast for great info about behavioral marketing and psychology of selling. Starting a podcast for free – Spreaker is a podcast host that offers you free podcast hosting for up to 10 hours of audio. That’s 10 hour-long episodes or 40 shorter 15 minutes episodes. More than enough to give podcasting a try with zero risk. Ok, you’ve made a podcast, now what? Turn it into a blog post, with show notes, quotes and transcript of the show. Turn podcasts into a CD, flash drive, or other physical item to give to clients, connections, and partners. 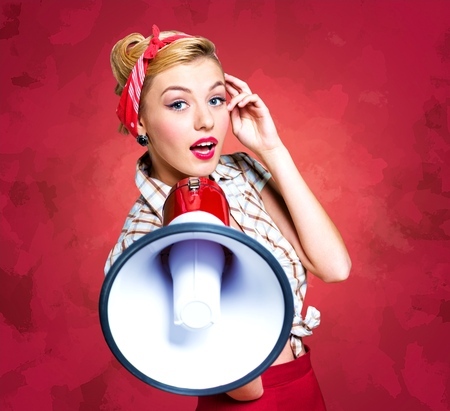 Bring in sponsors to create revenue from your podcasts. Cover live events and conferences in new and interesting ways through your podcast interviews. If you have celebrity clients or know top influencers in your niche, then instead of asking them for a quote or interview on your blog ask them to appear on your podcast instead (tell him/her you have a potential audience of over ten-thousand viewers). The best influencers already know that podcasts are the wave of the future. Many people ignore television, radio and online pop up ads, and they never look at a newspaper coupon. More and more people are listening to informational podcasts on a mobile device while they’re commuting or at Starbucks. Storytelling is essential when it comes to podcasting, The blogging world is over saturated but podcasting is still virgin territory for the marketer. You can still carve out a niche that is distinctive to your brand and attract tens of thousands of viewers. It’s being done all the time, right now. Podcast players allow you to SUBSCRIBE to different podcasts, so that you will be notified every time a new episode is released. Most podcasts are FREE! You can also listen to podcasts on your computer, by going to a podcast’s website, just Google the podcast name. If you have a Google Home, Alexa or another home voice assistant you can say “Hey Google/Alex, play XXXXX podcast” and listen via your home speaker. Sincereley X – TED podcast where the speakers remain anonymous as the openly talk about their own provocative story often talking about taboo topics, including stories about mental health issues and professional burnout. 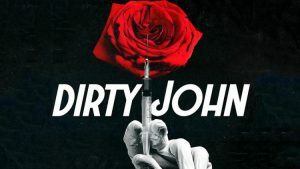 Dirty John podcast from Wondery and L.A. Times asks the question, “How much do you really know someone who you meet online, introduce to your family and marry?” The riveting, nonfiction 6-part podcast begs to be binge-listened. Box ‘N Life Podcast hosted by Tony Jeffries – Olympic Bronze medalist, undefeated professional boxer, co-owner of CA’s #1 gym Box ‘N Burn in Santa Monica, Brentwood and Beverly Hills has a funny and insightful podcast. Tony is fun loving and is passionate about boxing, fitness, networking, social media and marketing, and most of all becoming your best self. He interviews boxers, fighters, health and fitness experts, celebrities, and business gurus. This American Life is a journalistic non-fiction program, it has also featured essays, memoirs, field recordings, short fiction, and found footage.